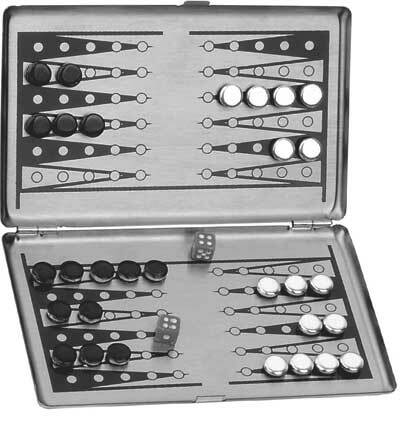 Metal Magnetic Backgammon Executive Desk Travel Game Set. Metal Magnetic Backgammon Executive Desk Travel Game Set. 4 1/8 x 2 3/4".